Conventional wisdom tells us that the appreciation of local (detail) and global (form and spatial relations) information from a scene is preferentially processed by central and peripheral vision, respectively. Using an eye monitor with high spatial and temporal precision, we sought to provide direct evidence for this idea by controlling whether carefully designed hierarchical scenes were viewed only with central vision (the periphery was masked), only with peripheral vision (the central region was masked), or with full vision. The scenes consisted of a neutral form (a D shape) composed of target circles or squares, or a target circle or square composed of neutral material (Ds). The task was for the participant to determine as quickly as possible whether the scene contained circle(s) or square(s). Increasing the size of the masked region had deleterious effects on performance. 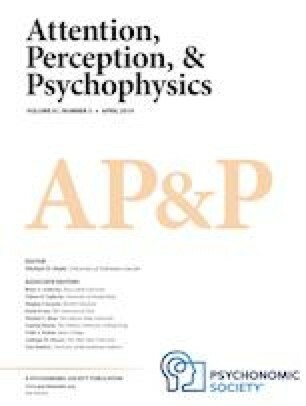 This deleterious effect was greater for the extraction of form information when the periphery was masked, and greater for the extraction of material information when central vision was masked, thus providing direct evidence for conventional ideas about the processing predilections of central and peripheral vision. The research reported here, which was designed and conducted at the Drawing Lab at Nova Scotia College of Art and Design University, was made possible by an Insight Grant from the Social Sciences and Humanities Council of Canada (435-2014-0758). We are grateful to Jonathan Mulle for programming the task, and to Austin Hurst for technical assistance. In addition, critical for potentially simulating an equivalent repeated measures data set, the full covariance matrices of within-subjects variables are included.